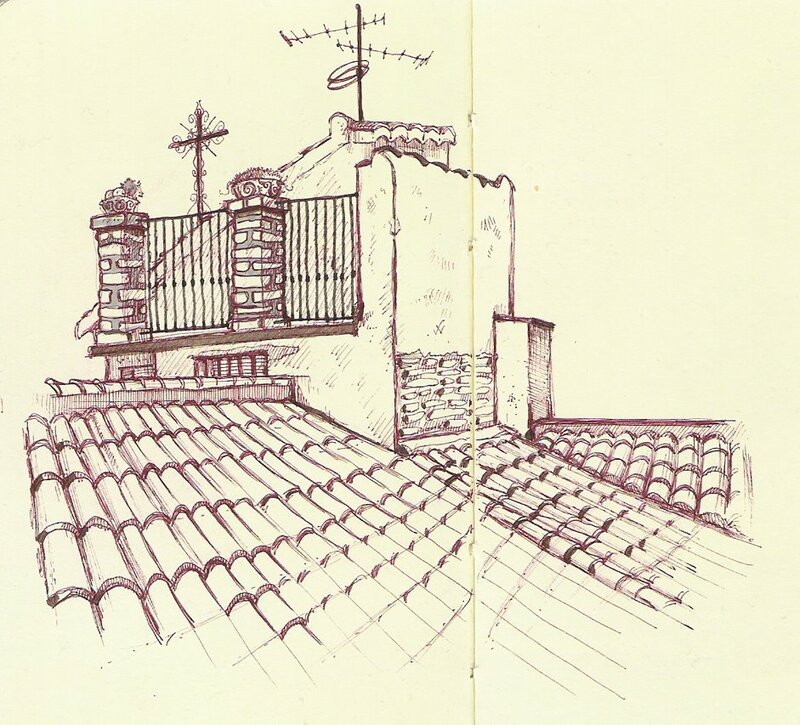 yes I'm still posting Spain sketches. 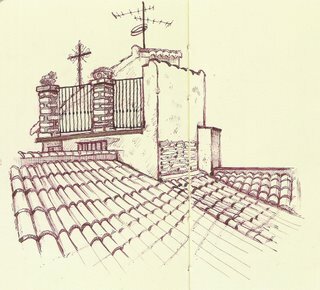 for some odd reason rooftops are very appealing to me. antennas, railing, tile, cracked plaster, broken brick. nice rooftops! also, that bartendar man...nice. yea i do work off of grandview + Flower o'er at Disney's Buena Vista Games! Are you still rolling with DW, and if so....that means we're neighbors? which would be cool cause i've always wanted to check out the DW... are you free for lunch sometime this week? wow looks very 3 Dimensional..
very nice! you can really feel the different textures. Very cool! Love to see more from your trip. Wow great blog! Love your sketches. Are you still at Dreamworks?